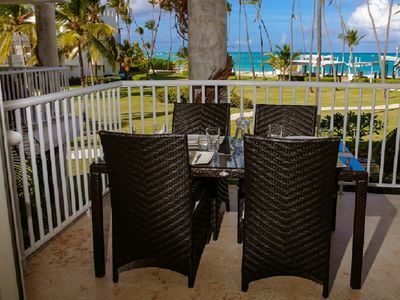 Luxury 4 Bed Condo, Secure Complex, Pool, 2 Minutes Walk to Beach. Ocean One 2132 is a beautiful apartment that has recently been renovated. 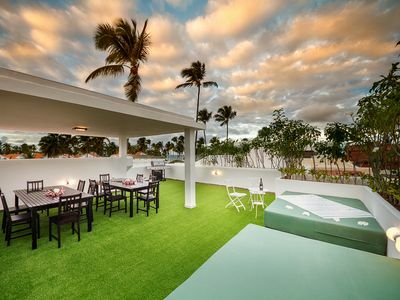 It is impeccably decorated in a chic and modern style. Entering the apartment usually generates “wow” statements and guests immediately feel like they are going to have a luxurious stay. 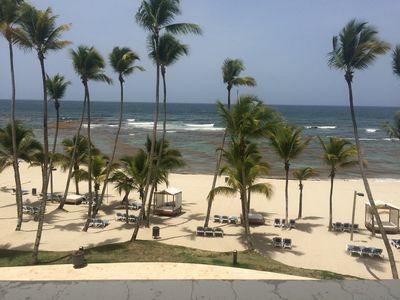 Ocean One 2132 is one of the few 4-Bedroom apartments available in the center of Cabarete Bay. And, it is only seconds from the beach. Its central location also makes the walk to all restaurants and shopping areas both convenient and enjoyable. 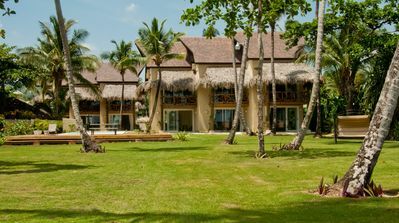 The main terrace, which is accessed from both the living area and master bedroom, overlooks tropical gardens and a large swimming pool with an adjacent palapa for family gatherings and BBQs. This condo has a very private master bedroom with king size bed, separate from the rest of the apartment, with en-suite bathroom and access to the terrace. There is a second bedroom with king size bed and private en-suite, a third bedroom with twin queen size beds and direct access to a shower-room. The 4th Bedroom has bunk beds. There is air conditioning throughout the accommodations as well as ceiling fans for comfort and those who do not like air-con. Cable T.V. with large flat screen television is located in the living room and Wi-Fi is connected. A DVD player connected to the T.V. is also available. All service costs are included in the rental price and a secure private parking space adjacent to the property is available. The condo is fully equipped with linen and towels and can accommodate 8 people in comfort. A laundry area includes a fully automatic washing machine and tumble drier. There is a fully outfitted kitchen with oven, hob, microwave, coffee machine, fridge freezer, as well as a full complement of cooking utensils, crockery cutlery and glasses. However, for guests who prefer to eat out the wide range of restaurants offering local and international cuisine are just a few minutes away. 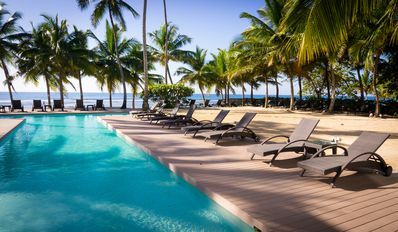 Ocean One is a beachfront, gated community of luxurious condominiums located directly in the heart of Cabarete Bay, which makes it ideal for Caribbean holidays. The development consists of 3 different phases, each of them having its own private pool surrounded by tropical gardens. There is also a small commercial plaza at the entrance to the community. 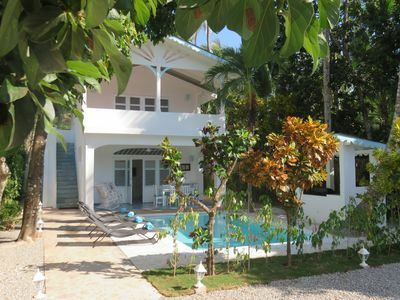 All apartments have full amenities for a quality Caribbean Lifestyle. Moreover, the administration of the resort rentals provides professional courtesies and guest services. You can easily access all the water-sports in Cabarete Bay like windsurfing, kiteboarding, and small boat sailing. 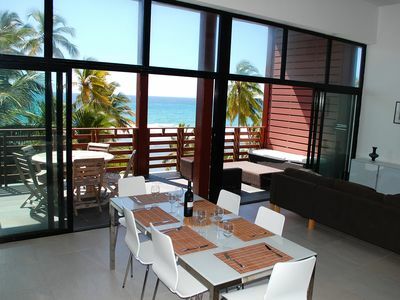 Cabarete is also famous for its beach-side restaurants, bars, and shopping areas.